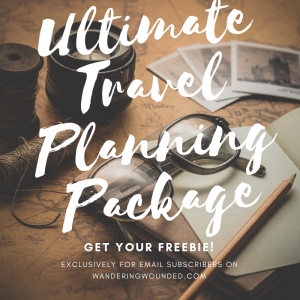 The Ultimate Travel Planning Package? Have I got a gift for you! Well, yes I do. 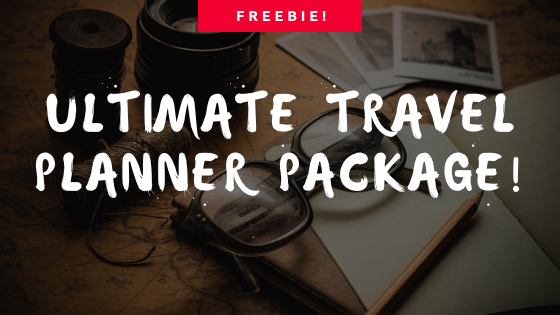 When you join the mailing list, you’ll receive a bumper pack of travel planning goodies. Here you can sign up and find the ultimate packing checklist and so much more to play with. For peace of mind, print and fill in these forms before travelling. You can leave emergency details with a friend and keep your travel addresses handy. There’s a travel log to keep track of all your transport connections on longer trips. 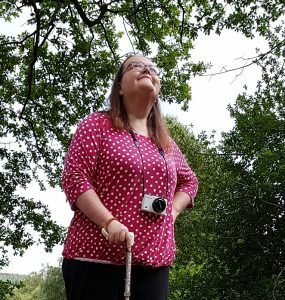 And of course, it wouldn’t be WanderingWounded.com without a medication list! 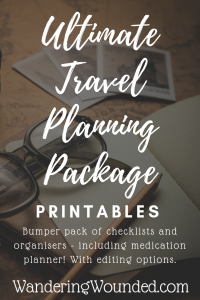 You can have all your medications (generic and brand names) and details on hand in case of an emergency or for reference – handy when packing and repacking. 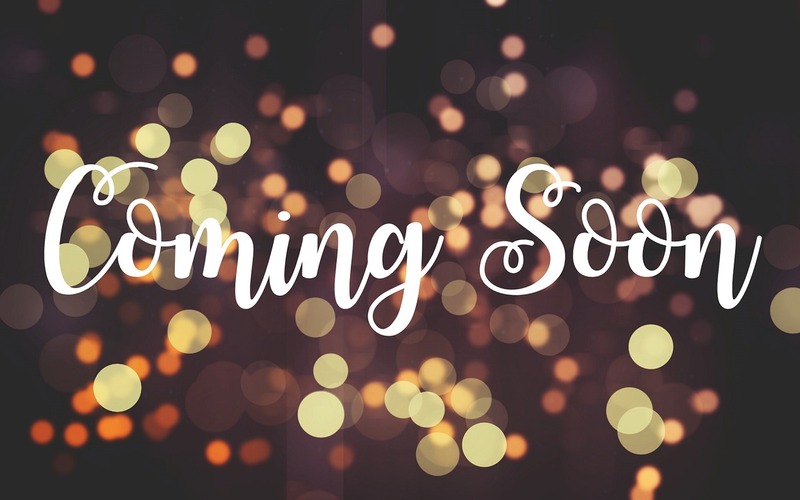 Finally, and just for fun, you’ll find a chart for your postcard addresses, and a gift buying guide to ensure hugs and tears (happy ones, obvs) when you return. 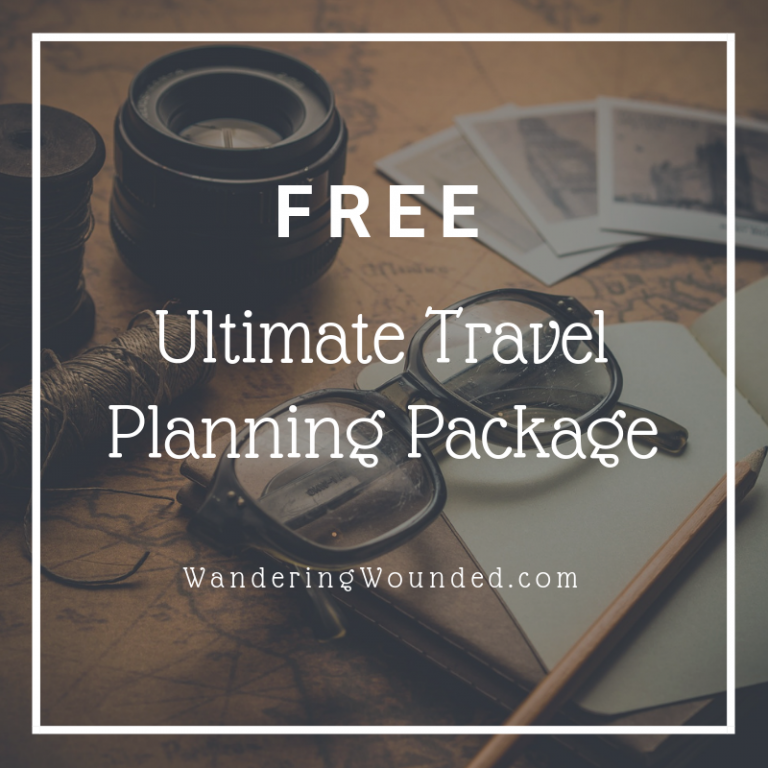 There are printable versions but I’ve also thrown in the original files for your own edits, so you can have your own totally personalised travel planner. Click here to go to the email list signup form and you can download your goodies.